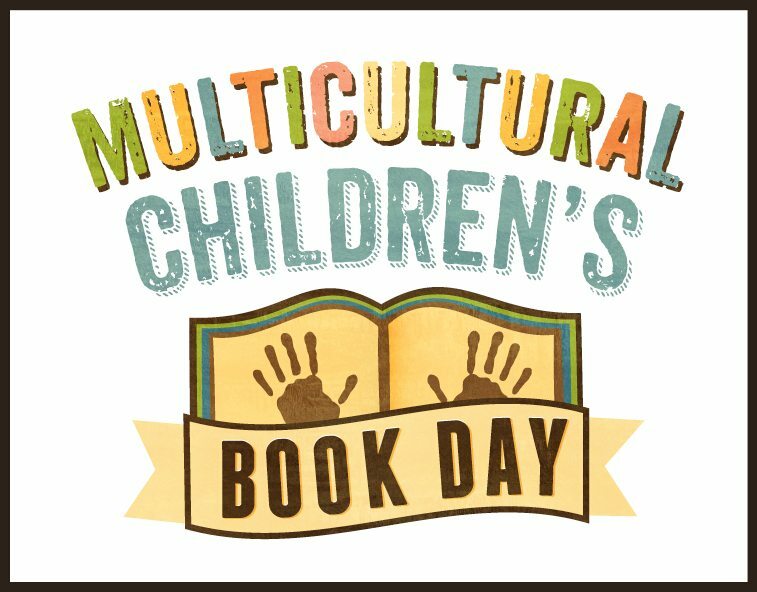 Today, January 27, 2017, is Multicultural Children's Book Day, a celebration of diversity in kidlit. 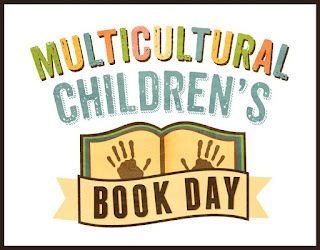 Check out multiculturalchildrensbookday.com to find diversity booklists for kids, a kindness kit for teachers, and giveaways of diverse books. And be sure to search for the hashtag #ReadYourWorld to find links to multicultural children's book reviews and reading suggestions. In the spirit of the Day's hashtag, #ReadYourWorld, I'm posting a recording of Leslie Kimmelman's talk at the 2016 Association of Jewish Libraries conference in Charleston, SC. 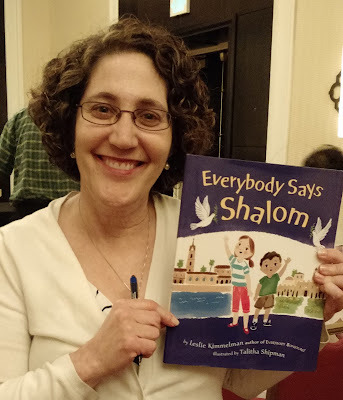 Leslie spoke about her picture book, Everybody Says Shalom, which was a 2016 Sydney Taylor Honor Book in the Younger Readers category. This charming book showcases friendly diversity in an Israeli setting. Enjoy, and shalom! 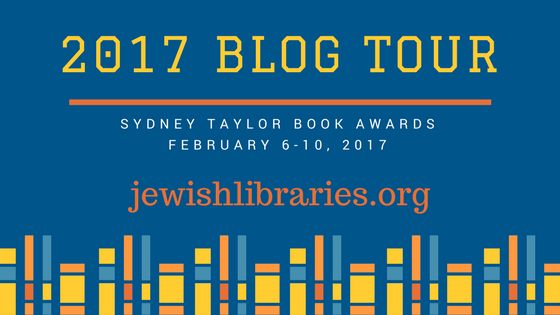 The Sydney Taylor Book Award will be showcasing its 2017 gold and silver medalists with a Blog Tour, February 6-10, 2017! Interviews with winning authors and illustrators will appear on a variety of Jewish and kidlit blogs. Interviews will appear on the dates below, and will remain available to read at your own convenience. 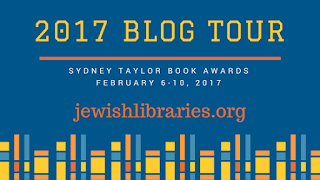 Below is the schedule for the 2017 Sydney Taylor Book Award Blog Tour. Please follow the links to visit the hosting blogs on or after their tour dates, and be sure to leave them plenty of comments! 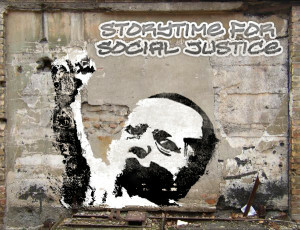 Storytime Underground, a blog and Facebook group for children's librarians, challenged participants to use their storytimes to make the world a fairer place. As the organizers said, "Take a moment to think about what you can do to help teach empathy and inclusiveness in your programming." These goals are represented by the Jewish values of tikkun olam (repairing the world) and tzedakah (justice). The hashtag #storytimejusticewarrior helps us find examples from storytime providers everywhere. During the week following Martin Luther King Jr. Day, my storytime theme was skin, its functions and colors. I particularly enjoy using puppets to teach this concept. This pair of puppets from Sunny and Co. offer a great Venn diagram of intersecting comparisons and contrasts. Their hair is the same color but different styles. Their clothing both includes denim but for different items. I love it that the boy puppet is the one who has jewelry on, flipping expectations. 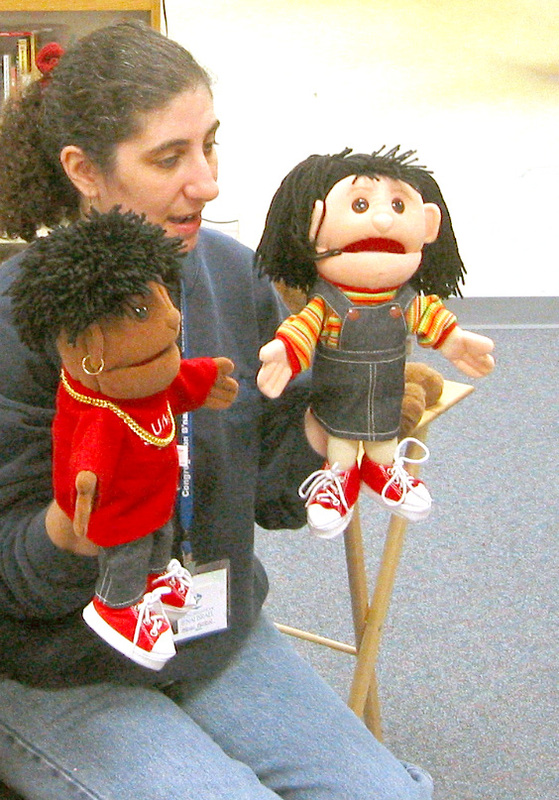 Having these puppets lead a discussion about "same and different" puts skin in perspective as one of many things that makes us each unique yet unifies us too. After puppet time, we read Shades of People by Shelley Rotner, so we could see real skin tones of real people. We followed up with My Nose, Your Nose by Melanie Walsh and The Belly Book by Fran Manushkin, which both combine a celebration of diversity and universality. I work with mostly white, affluent preschool children in a synagogue setting, and I struggle with how to introduce social justice concepts to them in a relatable way. I hope that by making them aware of skin's function, and by celebrating its many forms, I can lay the groundwork for them to become fair-minded and unbiased people as they grow up. It's an uphill battle, because the backdrop of this well-intended lesson is systemic racism, and I fear that my efforts may do little in that context. This article, "For Whites (Like Me): On White Kids" urges us to confront the issue of race more directly. I have not yet found the courage to do so with other people's 2-5 year olds. I'd love to hear from other storytime providers who have found a way to have a truly substantive conversation with children about race and racism. 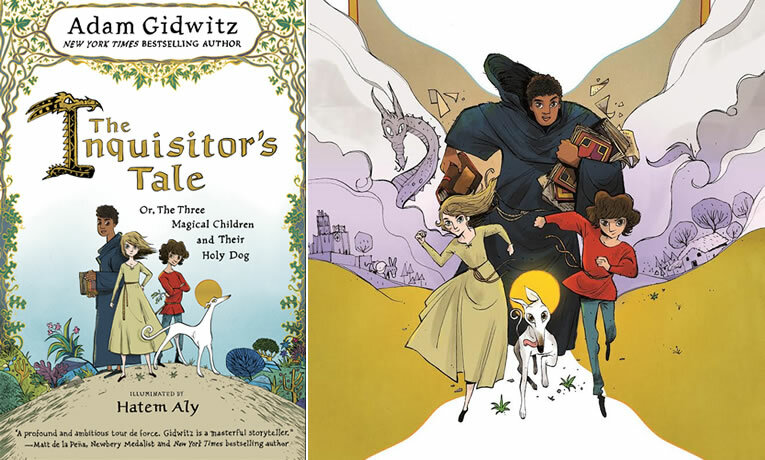 The Inquisitor's Tale: Or, the Three Magical Children and Their Holy Dog by Adam Gidwitz with illustrations by Hatem Aly is the 2017 Sydney Taylor Book Award winner in the Older Readers category, and it was a National Jewish Book Award Finalist in the Children's Literature category. Both these awards were announced in January 2017; I interviewed Adam long before that, soon after meeting him at a kidlit author speed dating event at the American Library Association convention in Orlando in June 2016. 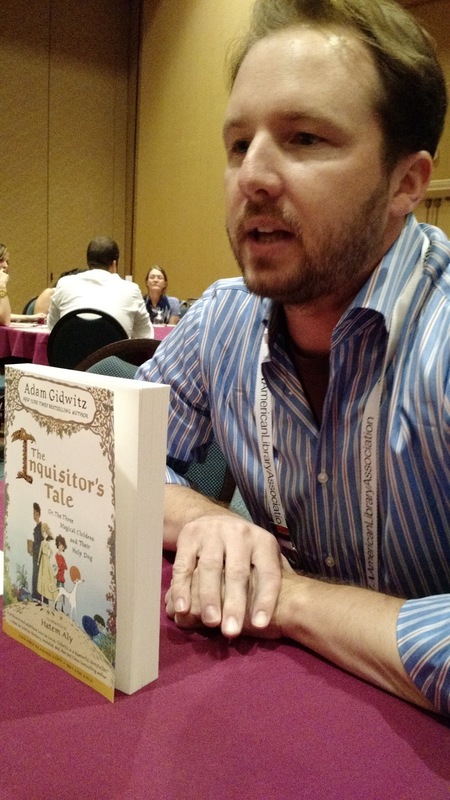 The Inquisitor's Tale has been receiving accolades from simply everyone. A particularly insightful review was the one by Betsy Bird at A Fuse #8 Production blog on the School Library Journal website. 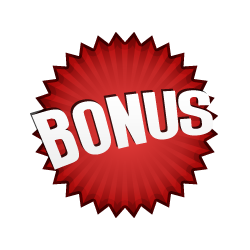 Bonus Episode: The 2017 Sydney Taylor Book Awards! 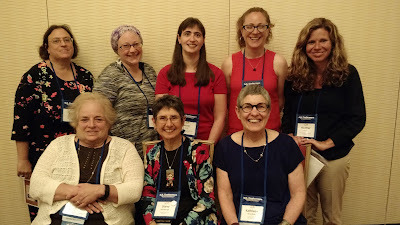 Ellen Tilman is the chair of the Sydney Taylor Book Award committee of the Association of Jewish Libraries. She joined us by phone from her home in Philadelphia to talk about the newest crop of winners that were announced just this week. 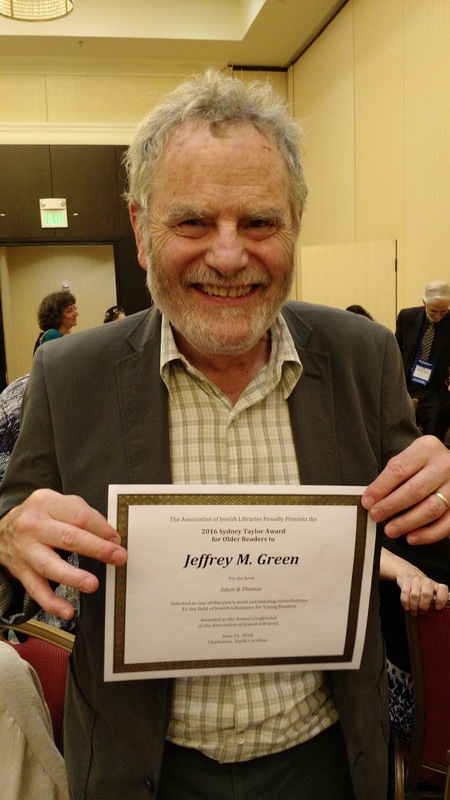 Here's the official announcement with the full list of winners, honors, and notable books: click here. Here's my roundup of winning books that have appeared on The Book of Life: click here. January 11, 2017 was a big day for Jewish book awards - both the Association of Jewish Libraries and the Jewish Book Council announced winning titles! Many of these books have already been covered on The Book of Life podcast, and others are in the pipeline now. 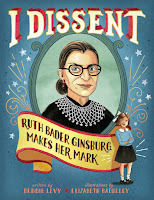 I Dissent: Ruth Bader Ginsburg Makes Her Mark by Debbie Levy, illustrated by Elizabeth Baddeley, won the Sydney Taylor Book Award in the Younger Readers category AND the National Jewish Book Award in the Children's Literature category. Hear from author Debbie Levy in this November 2016 podcast. 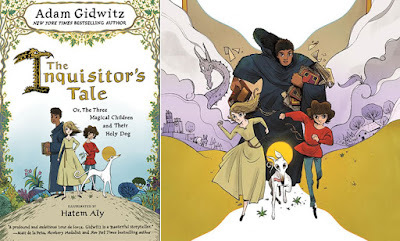 The Inquisitor's Tale: Or, The Three Magical Children and Their Holy Dog by Adam Gidwitz, illustrated by Hatel Aly, won the Sydney Taylor Book Award in the Older Readers category AND was a National Jewish Book Award Finalist in the Children's Literature category. Hear my interview with Adam in this January 2017 podcast. 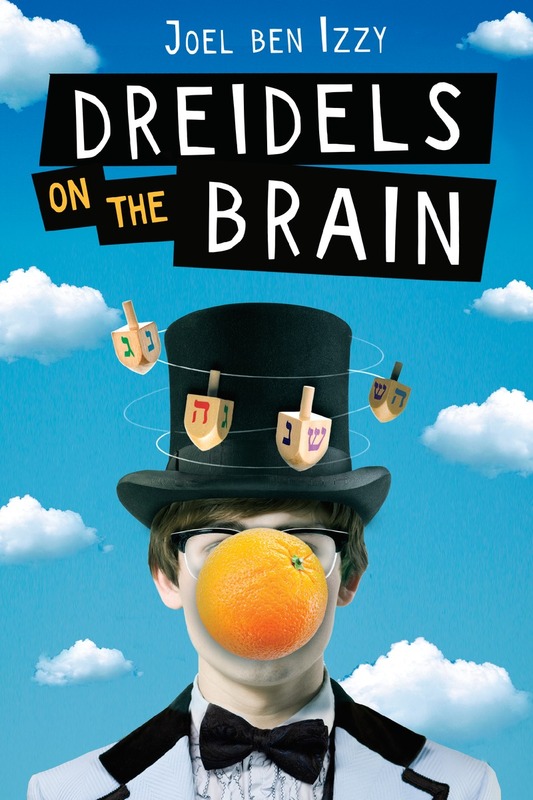 Dreidels on the Brain by Joel Ben Izzy was a Sydney Taylor Honor Book in the Older Readers category AND a National Jewish Book Award Finalist in the Children's Literature category. Hear my interview with Joel in this December 2016 podcast. 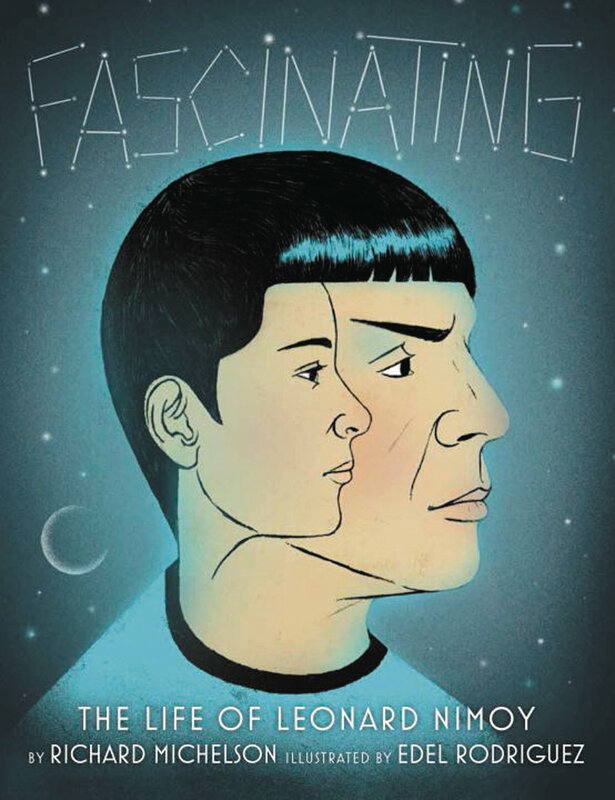 Fascinating: The Life of Leonard Nimoy by Richard Michelson, illustrated by Edel Rodriguez, was a Sydney Taylor Honor Book in the Younger Readers category. Hear my interview with Rich in this October 2016 podcast. 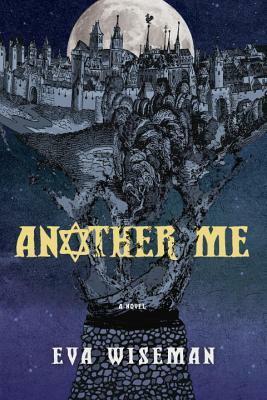 Another Me by Eva Wiseman was a National Jewish Book Award Finalist in the Young Adult category for the Posner Award. The Book of Life's Canadian Correspondent Anne Dublin recorded an interview with Eva Wiseman that will be published this spring on the podcast. 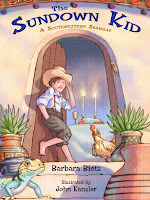 The Sundown Kid: A Southwestern Shabbat by Barbara Bietz was named a Notable Book for Younger Readers by the Association of Jewish Libraries. I reviewed this title for #Readukkah 2016, and I expect to interview my friend Barbara for the podcast in the future. 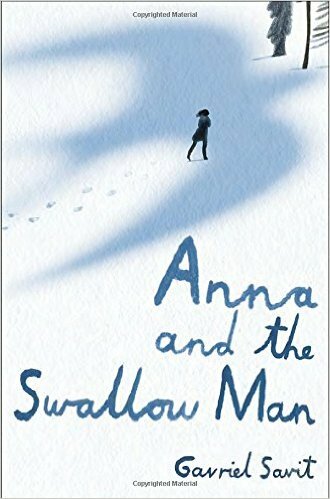 Anna and the Swallow Man by Gavriel Savit won the Sydney Taylor Book Award in the Teen Readers category AND the National Jewish Book Award's Goldberg Prize for Debut Fiction AND was a Finalist for the National Jewish Book Award's Posner Award for Young Adult literature. While I have not yet had an opportunity to interview Gavriel, I thought it was worth pointing out the many accolades this book has received. Perhaps I will have an opportunity to interview the author in the future - watch this space! 2017 Sydney Taylor Book Award Winners Announced! 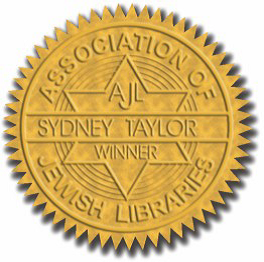 Winners of the annual Sydney Taylor Book Award were announced by the Association of Jewish Libraries today. Named in memory of Sydney Taylor, author of the classic All-of-a-Kind Family series, the award recognizes books for children and teens that exemplify high literary standards while authentically portraying the Jewish experience. 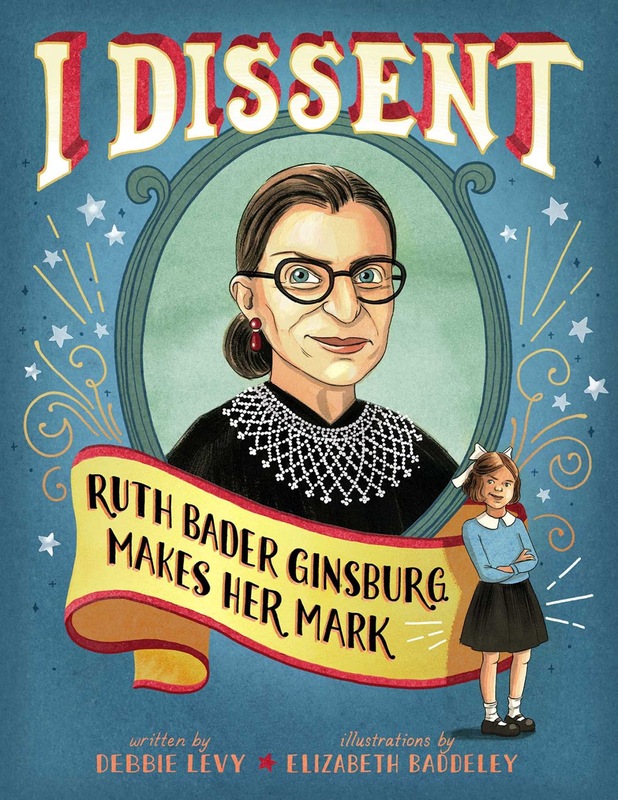 I Dissent: Ruth Bader Ginsburg Makes Her Mark by Debbie Levy with illustrations by Elizabeth Baddeley, published by Simon and Schuster Books for Young Readers, won the Sydney Taylor Book Award in the Younger Readers category. This delightful biography of the Supreme Court Justice teaches children that dissent does not make a person disagreeable, and can even help change the world. The grab-your-attention illustrations help explain the text. 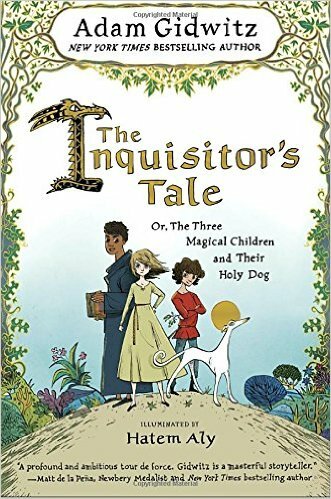 The Inquisitor’s Tale: Or, The Three Magical Children and Their Holy Dog by Adam Gidwitz, illustrated by Hatem Aly, published by Dutton Children’s Books/Penguin Random House, won the Sydney Taylor Book Award in the Older Readers category. Part fantasy and part adventure, this is the tale of strangers who become friends while on a quest to save thousands of volumes of Talmud. The beautiful illuminations reflect the medieval flavor of the book. Anna and the Swallow Man by Gavriel Savit, published by Alfred A. Knopf/Penguin Random House, won the Sydney Taylor Book Award in the Teen Readers category. Anna is left alone in 1939 Krakow when the Nazis take her father away. She meets the mysterious Swallow Man who is able to speak “bird,” and travels with him in the forests of Poland, where they spend four years hiding and eluding capture. This is a haunting story that may be allegory or folktale or perhaps both. Four Sydney Taylor Honor Books were also recognized. 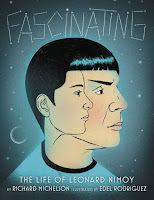 For Younger Readers, the Honor Books are Fascinating: The Life of Leonard Nimoy by Richard Michelson with illustrations by Edel Rodriguez, published by Alfred A. Knopf/Penguin Random House, and A Hat For Mrs. Goldman: A Story About Knitting and Love written by Michelle Edwards with illustrations by G. Brian Karas, published by Schwartz and Wade Books/Penguin Random House. Dreidels on the Brain written by Joel Ben Izzy and published by Dial Books for Young Readers/Penguin Random House, and A Poem For Peter: The Story of Ezra Jack Keats and the Creation of The Snowy Day by Andrea Davis Pinkney with illustrations by Steve Johnson and Lou Fancher, published by Viking Children’s Books/Penguin Random House, are the Honor books in the Older Readers Category. In addition to the medal winners, the Award Committee designated ten Notable Books of Jewish Content for 2017. More information about the Sydney Taylor Book Award and a complete listing of the award winners and notables can be found at www.SydneyTaylorBookAward.org. Winning authors and illustrators will receive their awards at the Annual Conference of the Association of Jewish Libraries, to be held in New York City in June. Gold and silver recipients will also participate in a blog tour during February. For more information about the blog tour please visit www.jewishlibraries.org/blog. No Honor or Notable Books were designated for Teen Readers in 2017. Adam and Thomas by Aharon Appelfeld won the 2016 Sydney Taylor Book Award in the Older Readers category. The book is based loosely on Appelfeld's own Holocaust experiences, and is the story of two young boys who band together to survive while hiding in the forest. It was originally written in Hebrew and translated into English by Jeffrey Green. Appelfeld was not able to attend the Association of Jewish Libraries conference to accept his award, but Green was present, and allowed me to record the talk he gave about the experience of translating the book. You'll also hear from award committee chair Ellen Tillman, who met with Appelfeld during a recent trip to Israel.